At La Fromagerie Atwater in Montreal and on the South Shore, we have a dedicated team that knows the products and that loves to have you discover them. Our team is committed to giving you a unique customer experience, so that after each visit you leave with fresh and tasty products that you’ll love to serve and enjoy. 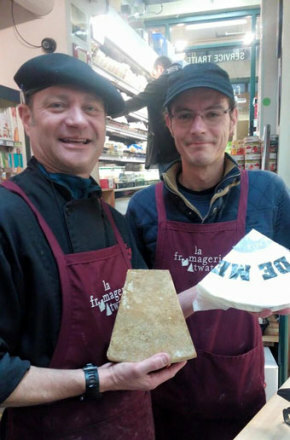 Rest assured that all employees receive the same complete training on the products sold at our cheese shop, and each of them shares the same passion for cheeses and fine products ... and especially the desire to help you discover them! Gilles and his team are very involved in the community, participating in fundraisers, supporting the Christophe Robichaud Foundation and the Breakfast Club, and sponsoring local events. Their dedication and support contribute to the success of the cheese shop.